What do 120 wasps, 34 sea slugs, 28 ants, 19 fish, 7 flowering plants, 7 spiders, 4 eels, 3 sharks, 2 water bears, 1 frog, 1 snake, 1 seahorse, 1 moss, and 1 liverwort plant have in common? All reside on a list of 229 new species identified in 2018 by the California Academy of Science. The “Japan pig” seahorse is the size of a jelly bean. Cryptic in coloration, the new species blends perfectly into the algae-covered reefs of southeastern Japan where it clings tightly via tail to soft corals, feeding on plankton passersby. 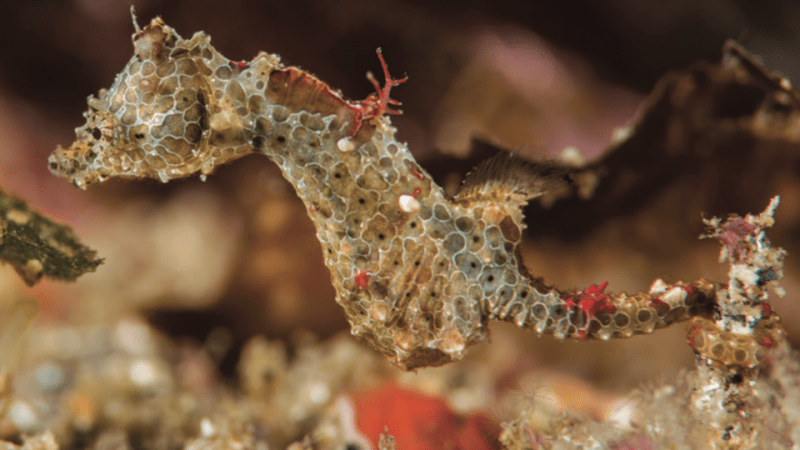 It sports a pair of wing-like protrusions on its neck, but unlike the half dozen other pygmy seahorses in the world, the Japan pig has just one pair rather than two. The function of these wing-like structures remains a mystery. Image via Calacademy. Spiders with the fastest spin on Earth! 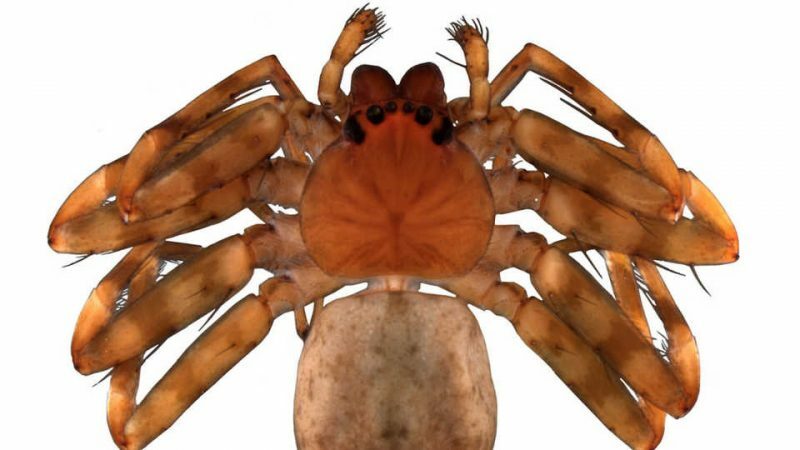 Spiders from the Selenopidae family were recently discovered to have the fastest leg-driven turn of any animal on the planet. This year, 3 new species join the fast-spinning group, including one from Egypt. This species was originally collected in the 1800s but only recently recognized as new to science when a team of sicnetists discovered it deep in the collection of the Oxford Museum. Image via Calacademy.